Let me begin by expressing my sincerest thank you for the wonderful reception for my first novel. “Somewhere Between Love and Justice” has been getting rave reviews and it makes me so happy that people are enjoying reading it as much as I did writing it. As this is my first book, I completely admit to being was mildly terrified of how it would be received. Needless to say that while I can’t please everyone, I am excited and chomping at the bit to get the next story out to you all. What I want to talk about today is the inspiration for characters. They come from so many places. Someone you know, someone you’ve seen, someone you’d like to meet or even from within. All of those are true in this story, even for the horse, Clover. They are most certainly characters in their own right and she may even be my favorite one. If you’ve ever had a horse, then you know what I mean and if you haven’t well, they can be as moody as a teenage girl or as loyal and loving as Lassie and everywhere in between. 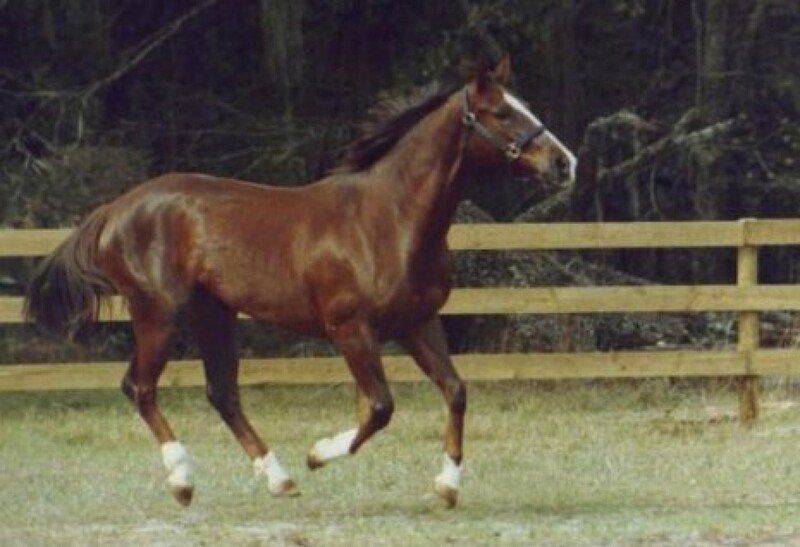 Clover was a result of combining my sweet girl, my beautiful quarter horse Dodie, who is pictured below running in the field, and the old spitfire horse my mom had when I was growing up, Silver. He is also pictured below with that look he would get when he was up to something. If you’ve read the book, then you know Clover is described with the big brown eyes, white socks and red coat. Dodie was the attentive, concerned type who was with me every step of the way. The parlor tricks and attitude all came from Silver. My mom had him trained to shake and bow. He would steal things from you to bring to her. He would even flip his lip up or make fun of you when you tripped. Silver taught me all the basics about horses, including my first fall, until I was given a stubborn pony of my own to torment me. I say that lovingly, because that pony, Jet, was also such a great friend for so many years who presented his own little challenges. The term “cowgirl up” is legitimate. You have to be tough to keep up with them. Having an animal to care for are great lessons for kids. Not only is it a lesson in responsibility and caring for another living being, but horses themselves require a good deal more work.Let me just say, that horses can teach you some darn good lessons besides just riding. Things like like paying attention to your hands and feet and learning patience. Patience when they refuse to move or when you forget to pay attention to your feet and they stand on the end of your shoe for minutes on end staring at you while you cry for help. How to keep your fingers from getting sucked up when you feed them carrots and what it means when their ears go sideways or back. Patience when you want to catch them and they stay just far enough away at all times, flipping their lip at you. Now you might read that and say, “why the heck would I want any of that?” Point taken, sometime I wonder myself, but horses are also loyal, social and love attention. Once you’ve made that bond you have a friend and protector for life. They worry about you and cheer you up when you’re sad and when I say protection, I mean it. Let me share this quick story of my youth- twenty years ago, my mom and I were taking care of a friend’s dog at our house and the horses were roaming the yard. We let them in sometimes, because they are excellent lawn mowers…and fertilizers, but that’s another story. Anyway, the dog jumped up and grabbed my mom’s arm, knocking her against the fence. One of the horses reached over and yanked the dog off, giving her time to run into the house. 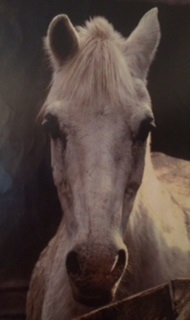 It scares me to think of what could have happened if the horse hadn’t been free in the yard that day. So yes, they are just like your best thousand plus pound friend and who better to have as vengeful, wandering cowgirl’s best friend than a horse? People ruined her life, but Clover was there as a faithful companion and concerned friend every step of the way for Sarah and like a true cowgirl, she only wants the best for her four legged friend. This created a relationship every bit as genuine as any human one for Sarah and one she never has to worry about betraying her. If you’ve read the book already, I thank you and maybe you look at Clover in a different light and if you haven’t read it yet, there’s still time. Perhaps you will have a whole new appreciation for the cowgirl’s best friend when you do. One last thing before I go, if you’re wondering what’s next for me, or why I wrote a western (its my mom’s fault), I gave the scoop to Holly Gaskins in a Q & A for her blog this past weekend, which you can read along with her review of SBLJ here.